Hospitality is an ever evolving industry. It caters to needs and desires of its users. As these desires keep changing with the varied life style, the hospitality product offer makes micro adjustments to address these fresh demands. They say wealth gives birth to desire, how true it is. As people get more spendable income, we see new demand generation in almost all areas of our daily life. We saw the introduction of health concept in city hotels in early seventies when the luxury hotels embraced something called a health club. Those days it consisted of only a gym, steam and sauna rooms. Good health clubs also had a few body massage rooms. 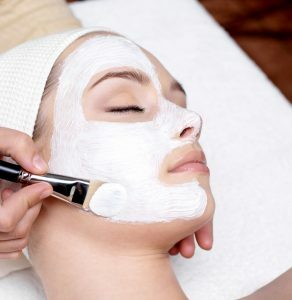 The demand for a beauty parlor followed soon. No one wanted to step out of the health club without a proper facial or hair do. This made the beginning of a new era for hospitality industry – the wellness age. Those who recognised it as an opportunity exploited it to remain generate higher revenues and remain competitive. Today, after four decades, things are different. The concept of health club has undergone a drastic change. It is now one of the key revenue generators for luxury hotels. Things are much specialized. No more just a gym and massages, now they offer a whole range of products, treatments and therapies and services for holistic wellness. There are specialists offering counselling on diet, nutrition, weight loss, slimming, fitness, beauty and body care and general well being. The underlying philosophy being to help the guests remain healthier. Wellness product. The facilities in these resorts vary but generally include a range of restaurants or food outlets, bars and clubs, business facilities, meetings and conferencing, entertainment and indoor and outdoor sports. The main emphasis in these resorts is the wellness Centre. A luxury wellness Centre will include a well equipped and fitted gym with personal counsellors and trainers, a range of body baths, steam, sauna, solar therapy and so on. Wellness hotels located in an area with natural springs even offer natural spring water soaks, dips or baths, a number of swimming pools, different types of body and massage therapies, yoga, aroma and color therapy, skin treatment therapies, beauty treatments and the list is ever increasing. Needless to say that the hotel employs specialists in all areas to counsel and physically render various therapies to the guests and residents. The resort management does everything to ensure that the resident spends minimum time in the room by offering a range of wellness, leisure and entertainment activities and facilities in the resort. The food menu in the restaurants offers a wellness food section offering organic and nutritional selections. 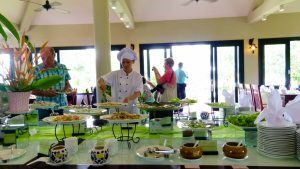 One can find a choice of diet and health dishes even on the buffet spreads. A special feature in some wellness food menus is that they also mention the nutritional values of the dish, including the calories. There is enough evening activity in the wellness resort to keep the residents occupied before retiring to bed. A wellness hotel or resort could be anywhere or in any location. However those located in well known vacation spots or resort location are more successful than the city Centre ones. 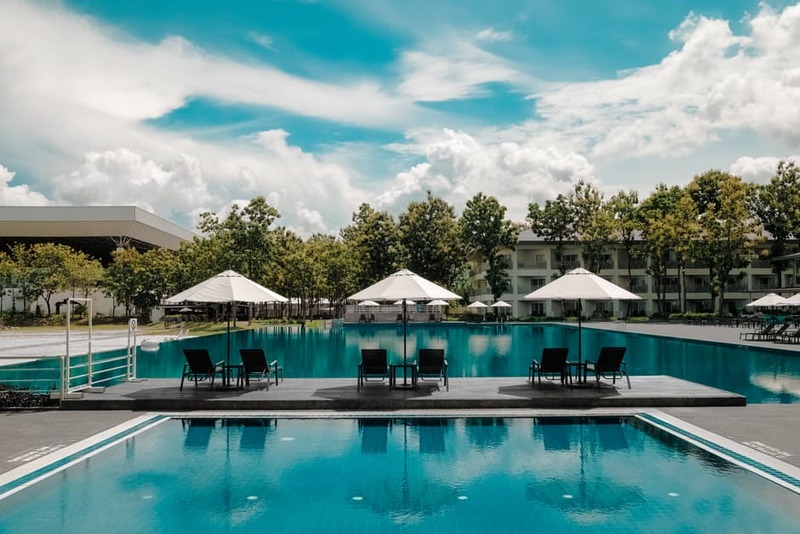 The wellness hotels located in resort locations like a hill resort, ski resort or a beach resort offer the opportunity to combine vacation with wellness. Of late, it is observed that big corporations also patronize wellness resorts as their meetings and conference venues, combining business with wellness. Branding of a wellness hotel or resort plays an important role in its success and within the hotel, the branding of the wellness product is absolutely crucial. It must be ensured that the brand has strong market presence and backing of an even stronger brand ambassador. In recent years the industry has witnessed launch of a number of highly successful brands, some belonging to large hotel chains and some to stand alone hotels. The most important aspect of a wellness hotel or resort is its initial conceptualization and planning. This is the most complex exercise. One can not simply have a hotel and add to it a state of the art health club. Wellness hotels need an in depth study and research on needs and demands of its potential guests, the competition with in the area and how to ensure that the resort remains competitive for at least the next four to five years. While big hotel chains have their own in house wellness facility planners, the independent investor will be well advised to retain a professional consultant to create a unique and competitive product. It pays back in the long run. A good wellness resort with attractive activities give room for one complaint – why the sun rises so late and the night comes so soon? One is so busy the whole day that the day never seemed to have come in the first instance. Wellness resorts, on one hand define your life style, and, on the other they offer a perfect opportunity to fuse your holidays with your wellbeing. Live healthy for you only live once!